Stavropol, city in southern European Russia, capital of Stavropol Territory, in an area known as Caucus. Since the collapse of the Union of Soviet Socialist Republics (USSR) in 1991, Stavropol has attracted, since 1988, many refugees from neighboring regions as a result of political and economic chaos and armed conflict near Russia's borders. The city's economy is concentrated on heavy industry; it has factories that produce trailers, cranes, furniture, and reinforced concrete. Light industry is also represented with the production of shoes and dairy products. Stavropol has air, rail (the Kavkazskaya-Divnoe-Elista rail line), and highway connections to other major cities. It is also linked by bus routes within northern Caucus. Buses provide important linkages because of the mountainous nature of the area. The city has state academies of medicine and agricultural, state universities of engineering and education and many other institutes. The city was founded in 1777 as a fort for the Russian army. 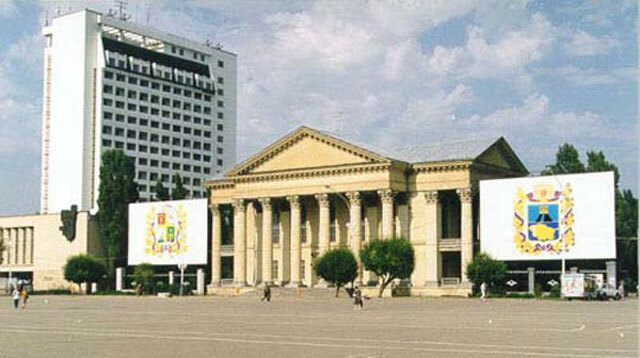 It was established as a city in 1785, and in 1822 became the center of the North Caucasus Territory. From 1935 to 1943 it was known as Voroshilovsk. Population (1992 estimate) 331,800.